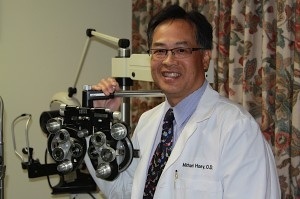 Dr. Hoey received his doctorate degree in 1984 from the Illinois College of Optometry. He has extensive experience in the area of ocular therapeutics having worked in an ophthalmology practice. Dr. Hoey is a member of the American Optometric Association, California Optometric Association, San Gabriel Valley Optometric Society and is a USC Refractive Surgery Medical Associate. Dr. Hoey is an active member of the Arcadia Rotary Club, and enjoys Fly Fishing in his spare time. Maria, is our Insurance Coordinator with many years of experience in insurance billing. She is available should you have any insurance inquiries. Irene and Julie are our friendly back office staff with many years of experience. They have been extensively trained in the areas of OptometricTechnician, Contact Lenses, Fashion Eyewear Selection, and are always ready to personally assist you with your eyecare needs.